Where is SOLIDWORKS going? It’s a hot topic from many perspectives, especially in terms of collaborative PDM and the cloud. At SOLIDWORKS World early in 2017, the Dassault Systèmes-owned company shared the first “sneak peek” of the 2018 version of their desktop MCAD system. Since then, more of the veil has been lifted, showing the direction that CEO Gian Paolo Bassi wants to go. In an interview with ENGINEERING.com, Bassi confirmed that the battle to get Dassault Systèmes’ 3D EXPERIENCE platform to be adopted by the SOLIDWORKS user community will continue with new, attractive deals and technology bridges. Early next year, the company will announce the full lineup of products natively built on the 3DEXPERIENCE platform, which will be accessible to every SOLIDWORKS user. FAR FROM GIVING UP. “We are continuing to work hard to realize the SOLIDWORKS community adoption of the 3DEXPERIENCE platform,” said Bassi. He revealed a number of new measures to speed up the hitherto slow uptake of this platform. “With the release of 3DX 2018x in early Q1 2018, all our desktop customers under active subscription will have free access to the My3DEXPERIENCE offer, which includes a number of this platform’s capabilities.” The free access offer is important, because SOLIDWORKS is mainly used among smaller or mid-sized companies with limited resources. The competitive climate is tough, and every dollar invested counts. They have generally already invested close to the limit of what they can afford. SOLIDWORKS currently has close to half a million commercial licenses running globally, according to analyst Griffin Securities. In addition, there are a huge number of education and training licenses on the market; more than 1.5 million. Furthermore, sales of new licenses hit the 60,000 mark during 2016, which is a sensational number in this mature market. Overall, according to Jay Vleeschhouwer of Griffin, SOLIDWORKS has about a third of the world's commercial non-suite-bundled CAD systems; a larger number than, for example, Autodesk Inventor. 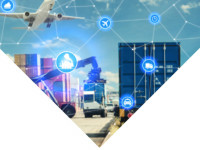 There’s no doubt that we're talking about a big player whose software improvements are important to the world’s small and medium sized industries (SMB). These past improvements are as crucial as where SOLIDWORKS is heading in terms of PLM and PDM. In ENGINEERING.com’s TV-report, “Is 3DEXPERIENCE the Right Path for SOLIDWORKS?”the SOLIDWORKS leader made it clear that Dassault Systèmes’ 3DEXPERIENCE (3DX), is and will remain the major platform for the company’s cloud and PLM efforts. Bassi said that a lot is happening in this field and that they are working hard to realize the community’s adoption of 3DX. SOLIDWORKS has made several attempts to get the their community to buy into Dassault’s 3DX concept. These efforts have so far not been successful. The bridges created by Dassault—Conceptual Design, Industrial Design, browser-based Xdesign and Xdrive—have only marginally affected the way the SOLIDWORKS community works, and the uptake has been limited. Will 2018 be the Year of Breakthrough for 3DEXPERIENCE in the SOLIDWORKS Community? 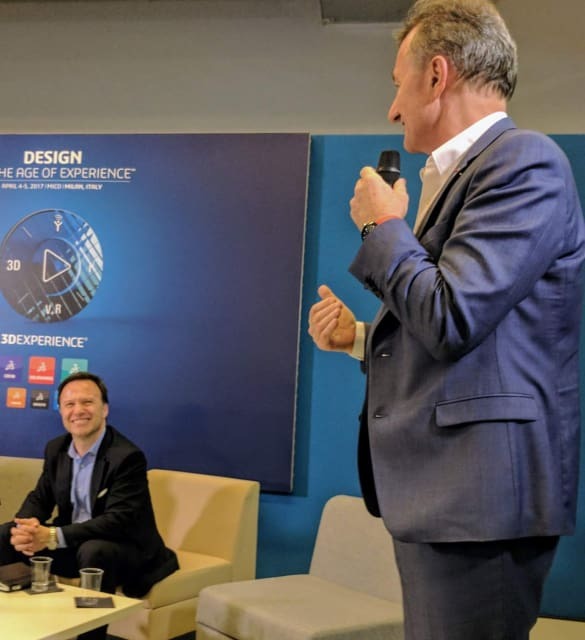 Clearly this slow adoption of 3DX is a frustrating fact for both Dassault Systèmes CEO Bernard Charles, and Gian Paolo Bassi, but they have no intention of giving up. On the contrary, they are constantly searching for new ways to attract SOLIDWORKS users. 2018 is the year when they intend to make 3DX breakthrough into the SOLIDWORKS user base. So, what can be done to pull the pin? “First of all, with the release of 3DX 2018x in early Q1 2018, all our desktop customers under active subscription will have free access to the My3DEXPERIENCE offer which includes, among other things, the 3DX services 3DDrive (a file-based collaboration space similar to DropBox), 3DPlay (a universal view and markup tool), Marketplace (for the contract manufacturing of 3D Printing jobs with qualified providers) and 3DSWYM (social collaboration),” said Bassi. As for PDM (Product Data Management), the different on-premise SOLIDWORKS-related solutions have been pretty successful. PDM Workgroup has been the long-standing workhorse, but it is now reaching the end of its life, while Standard and Enterprise PDM will remain. The good news is that a new PDM system add-on, which has been discussed for at least a year, is ready to launch: SOLIDWORKS Manage. 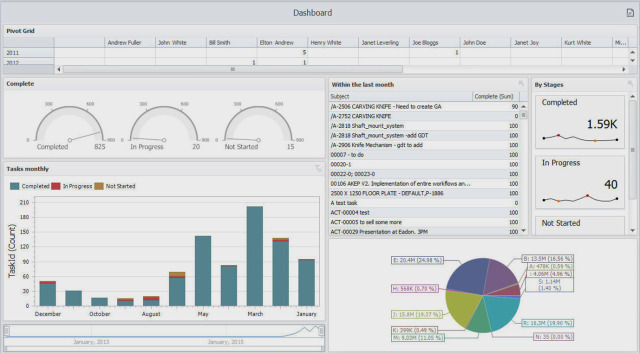 It’s not a PLM system add-on, but instead it has been tagged as a “Distributed Data Management” solution, and mainly fits in as an on-premise extension of SOLIDWORKS’s other PDM capabilities. In terms of last year’s technology hype, new platforms, smart manufacturing models and products, will this be enough? How will SOLIDWORKS act as the old solutions reach their limitations in terms of flexibility and effectiveness? And moving forward, how does the strategy handle growing product realization compexity? I discussed these issues with Gian Paolo Bassi. Today, however, Bassi is well aware of the necessity of more capable PDM solutions. REACHED END OF LIFE. In SOLIDWORKS 2017 Professional and Premium, we saw the last releases of Workgroup PDM. 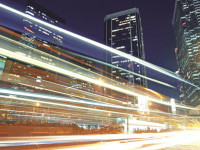 The platform has served as a workshorse for data management for smaller development environments in a single location. 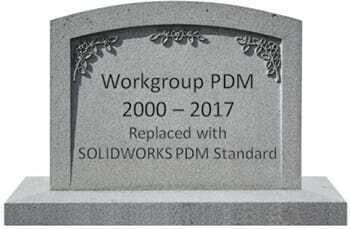 There will not be an updated version of Workgroup PDM available with the release of the 2018 products, and the future releases of SOLIDWORKS will not support running a version 2017 Workgroup PDM installation with any 2018 or newer version. While 2018 is poised to see the birth of new system, it will also bring the retirement of another: Workgroup PDM. “You are right; we have stopped development and support of Workgroup,” said Bassi. He continued, “This leaves us with two SOLIDWORKS data management systems. 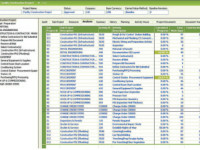 One is the PDM line (Standard, Professional and Enterprise) with the new Manage add-on. It is on-premise, file based and focused on the agility and innovation of the engineering department only. The other is ENOVIA-based (SOLIDWORKS 3DEXPERIENCE Standard, Professional, Enterprise to parallel the PDM offer). 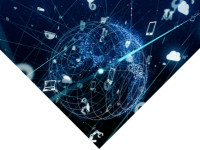 It is exclusively on the cloud and is truly scalable to full PLM-type of capabilities, and is more focused on enterprises that want to centralize all data and are very much process-centric. An Answer to Smart Product Development Needs? Is SOLIDWORKS Manage the answer to the new “smart” product development needs? In some ways it is. For current SOLIDWORKS PDM users, the transition to Manage is quick and easy because there are no data migration hassles. That’s a strength. 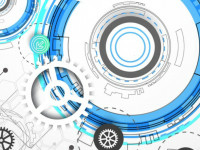 Although Manage has many similarities to a PLM system, I generally would characterize it as an in-between solution, with SOLIDWORKS Enterprise on one side and ENOVIA PLM on the other. Dassault Systèmes CEO Bernard Charles, together with Bassi during a panel discussion. Charles has been working hard to convince the SOLIDWORKS community about the advantages of using the 3DX platform, so far without success. Generally, the reasons circulate around economics, cloud security and in some cases a certain level of conservatism and low motivation to go through a change process. From a technological standpoint, one of the obstacles has been about the differences between SOLIDWORKS’ file-based environment versus the data-driven environment in the 3DX platform. Bassi claims that there is too much “drama” linked to the question. For a user with cloud ambitions who wants access to a full array of collaborative PDM functionalities, there’s still some distance to go. As it looks right now, according to Bassi, SOLIDWORKS 3DEXPERIENCE Standard, Professional and Enterprise, based on the ENOVIA back end, is the most probable solution. What may pose a problem is the different approaches to product data. While SOLIDWORKS and the majority of systems on the market apply a file-based approach, the 3DEXPERIENCE platform is product data driven. In this model, called "data-driven" or “zero-file”, all data accumulates in a single database. Principally, this is a great idea with advantages in terms of producing universal BOM’s. However, the data driven model requires differences in working methods compared to the file-based model; but according to Bassi, this really isn’t a problem. The world of product development constantly changes. Once, desktop 3D CAD was a revolution. Technological development is a never-ending story. If productive new ways of doing things come around, introduced by new, more capable technologies, and turns out to “do” things better than the old ones, they will prevail. The 3DX/V6 data driven platform represents just such a technology, claims Bassi. Sooner or later, the bulk of the SOLIDWORKS community will have to go through the necessary change processes to have a toolset relevant to things like the development of smart products, IoT, software, distributed product development and manufacturing. The data driven cloud environment of 3DX fits nicely in this context, Bassi asserts. In general, the SOLIDWORKS leader claims that there is too much “drama” linked to the question of file-based or data driven, and SOLIDWORKS’ Euro North senior territory technical manager, Mattias Robertsson, is on the same track. “Today, there are high security standards that should contribute to such confidence. In this context we often hear that we let the bank have our money in the cloud, and that's okay. Viewed from this perspective, the whole thing–data driven or file-based–is more about a way of dealing with and structuring our files,” Robertson added. ONE OF BASSI’S 2018 SOLIDWORKS FAVORITES. 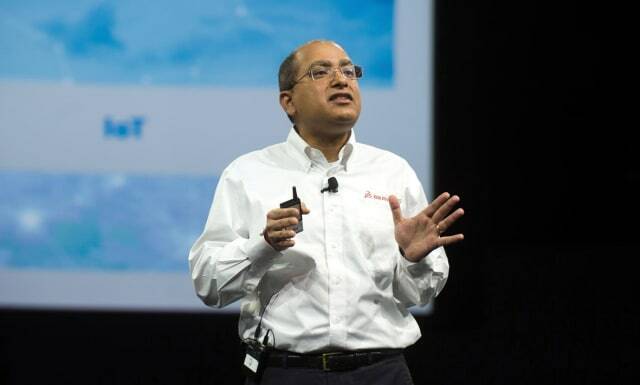 One of the pillars in Bassi’s vision for SOLIDWORKS is that he wants to provide a solution that covers everything from design to manufacturing. In view of this, it’s not surprising that SOLIDWORKS CAM is one of his favorite enhancements in the 2018 version. 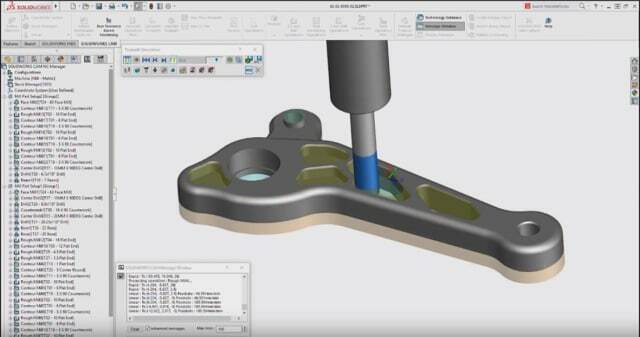 Users can now seamlessly integrate design and manufacturing with what he describes as, “Easy-to-use, world class CAM technology.” The solution is powered by CAMWorks and brings a production-proven, seamlessly integrated CAM with rules-based machining and automatic feature recognition to streamline, and even automate, CNC manufacturing operations. 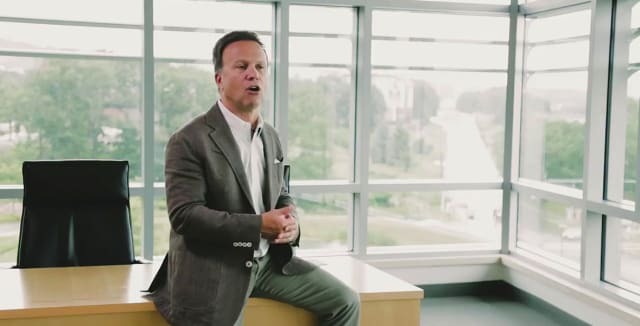 Will Gian Paolo Bassi succeed in his efforts to establish the 3DEXPERIENCE platform in the SOLIDWORKS user base? It’s hard to say. So far, the SOLIDWORKS users have been hard to convince. The reasons circulate around economics, cloud security and in some cases a certain level of conservatism and low motivation to go through a change process. Are these viable reasons? To some extent they are. SOLIDWORKS is mainly used among smaller or mid-sized companies with limited resources. The competitive climate is tough, and every dollar invested counts. They have generally already invested close to the limit of what they can afford. New, additional solutions must therefore have a good Return on Investment (ROI), with an emphasis on quick returns. But there’s more: by handing over data to a third party player, you always take the risk of lock-in effects that can affect the fees. A user could fear that with their data locked onto the 3DEXPERIENCE, an initially low fee could potentially result in rapidly raised price levels. At the same time, it would probably be both complicated and time consuming to switch platforms, meaning that from a short term perspective it would be more expensive to change than to remain. My take is that SOLIDWORKS has so far underestimated the reasons that users are reluctant to migrate to the cloud and the 3DX platform. In light of this, the initiative to let active subscribers have free access to the My3DEXPERIENCE offer, including some of the 3DX services is a step in the right direction. While these financial arguments are compelling in the short term, Bassi’s arguements in favor of the technology are realistic in terms of the tools the user community needs now, and will need in the future. 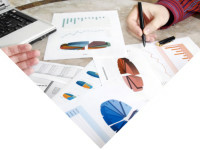 Data is the oil of today’s product realization, cooperation and customer operations. Cloud based platforms and technologies are foundations in this. Accessibility anytime, anywhere and on any device isn’t just a vendor mantra; it is literally already changing the way people and companies are exchanging design insights, communicating distributed manufacturing details, supplier chain collaboration and how products are controlled in the field. New business models are growing fast in this climate. With social product development, simulation in earlier and later phases, IoT, digital twins concepts, 3D printing, smart products, new ways of customer communications and AR/VR becoming parts of the new landscape, the data volume is growing exponentially. These are all good reasons to start the journey to collaborative, more advanced PDM, and PLM in the cloud. The challenge for Dassault and SOLIDWORKS is to develop affordable tools that can do this. SOLIDWORKS already did it once. As a matter of fact, its basic desktop 3D CAD solution was a revolution that did exactly this: the innovation of Jon Hirschtick, Scott Harris and the other founders made 3D design affordable, and therefore accessible to the masses. In 1995, SOLIDWORKS desktop CAD was an immediate success. Over the years it has worked both ways: the SOLIDWORKS community has had an affordable solution and Dassault Systèmes’ SOLIDWORKS made a lot of money. As of today, this solution still is one of Dassault Systèmes’ most important profit generators. 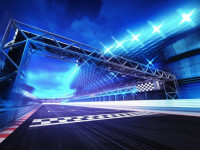 Why shouldn’t they be able to produce a “beyond PLM platform” for the masses? Bassi is a man of passion, and as the technological development continues pushing in a more complex direction, such a platform may become inevitable. If SolidWorks and Dassault Systèmes do not create one, someone else will. If Bassi’s team can make that transition smoother and less expensive, build the first bridges, and solve complexity and data security issues, a wider uptake can get started. It won’t be an easy task, but Bassi’s enthusiasm is contagious and can serve as a source of inspiration for the SOLIDWORKS organization. It will be interesting to see what happens during SOLIDWORKS World 2018.